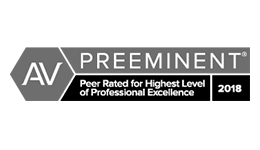 Premier New York attorneys with offices in Garden City, Brooklyn and Manhattan deliver exceptional representation to personal injury victims and homeowners facing foreclosure. Personal injury — Our skilled trial attorneys handle catastrophic injury cases stemming from automobile accidents, construction site accidents, slip-and-falls and liability for defective products. No-fault insurance disputes — Our firm represents numerous healthcare providers in the collection of no-fault claims through arbitration and civil litigation. We advocate for physicians who are victims of large insurance companies’ abusive denial tactics. Foreclosure Defense — We provide aggressive defense representation in mortgage foreclosure actions. If you have been injured in an auto accident or are facing foreclosure on your home, our attorneys have the knowledge, experience and determination to make a difference in your case. 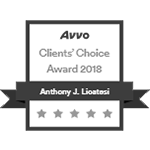 From our offices in Garden City and Brooklyn, we serve clients throughout the five boroughs of New York City, as well as Nassau and Suffolk counties. Each personal injury lawyer at Licatesi Law Group provides skilled representation. You may only need reliable advice for a no-fault insurance claim, or you may require representation for a severe bodily injury lawsuit. Our lawyers have the precise knowledge to manage detailed investigations of car, truck or motorcycle accidents. 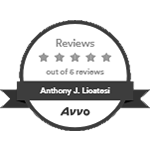 Whether your car accident occurs close to our office in Brooklyn or anywhere in the greater New York area, our attorneys provide dedicated legal support throughout the complex process. At Licatesi Law Group, our foreclosure defense lawyers provide clients with continuous support over the course of ownership. We have a strong track record of achieving positive results for clients in residential and commercial loan modifications, loan workouts, civil litigation, bankruptcy filing and even estate planning. No-fault insurance was supposed to make it easier for parties to settle an accident claim, but in many cases it simply shifted the burden for recovering losses from the injured party to the healthcare provider. We represent medical care providers in no-fault litigation and arbitration, with insurance carriers who fail to pay claims in a reasonable manner. We also advise providers about New York’s no-fault insurance regulations pertaining to medical providers and represent providers whose practice is subject to investigation for fraudulent and deceptive practices. 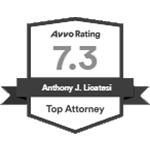 Licatesi Law Group, LLP is a full service law firm with offices in Brooklyn and Garden City, Long Island, serving greater New York City, including Nassau and Suffolk counties. Our firm provides focused legal support for New Yorkers who need a strong advocate during a time of crisis. To schedule an appointment, contact us online or call 516-227-2662 today.